This is a great carnival package popular for your type of event sure to bring fun to your event and make it easy to budget by having great popular items all in one party package. This party package has 6 awesome inflatables and 5 carnival games complete with generators to power the inflatables listed all for under $2,000.00. This party package has the right inflatables for a school or church carnival and not small kiddy inflatables for home birthday parties. 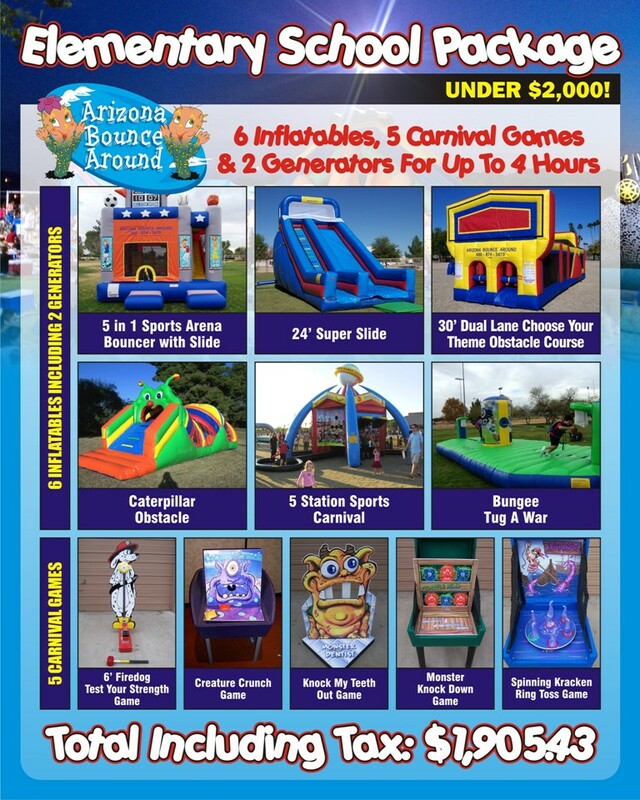 We have lots of other carnival rental items like Concession Machines Trackless Trains Photo Booths Carnival Rides Carnival Booths Zip Lines and Bungee Trampolines sure to make your carnival a huge hit. We have a full staff of party and event planners to help you plan and orginize your carnival and can even provide staff, security and light towers all from the same company. Serving all of Colorado since 2002 with clean quality carnival rentals.